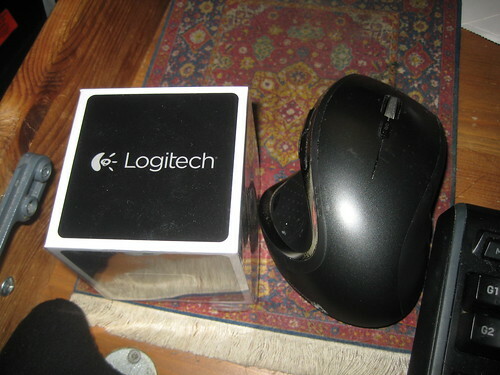 I had the pleasure of trying out the amazing Logitech Cube mouse. It’s a small little thing of a mouse that you can use on the go. The box is a cube, but once you see the mouse itself, it’s not exactly a cube at all. Yup, it’s the rectangular black piece under that cable. Take a look at a regular Logitech Performance MX by comparison! This is a cute little mouse that is very powerful. I initially charged it up, thinking that I could get it running simultaneously with the Performance MX mouse, and when it didn’t work, I was discouraged that the mouse just didn’t work. 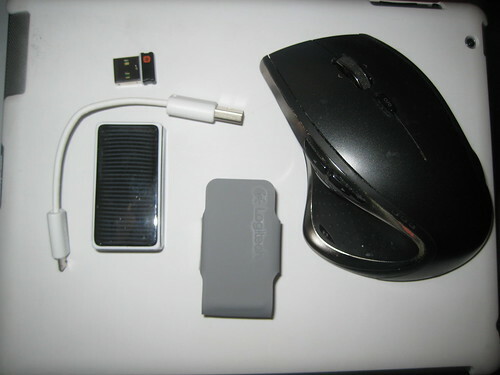 Truth be told, you just can’t have two Logitech mice (with the little USB fobs, I suppose) working at the same time. One apparently cancels out the other, so once I unplugged my Performance MX, the Cube worked. Except I was so excited to get it working that it was upside down and I couldn’t find the mouse pointer on my keyboard for about 30 seconds. But once I got everything up and running, it was smooth sailing. It wasn’t much of an acquired taste; the mouse started working almost instantly. I knew exactly where to go, even despite its small size. And then I learned that this is a unifying device, so all I needed to do was install software to get both devices working! That said, it is small. Really small, in fact. It might be best for little hands, but I believe it’s intended more for travel and short sessions. Otherwise, you may be best off with a larger mouse. But it also makes for a great presentation mouse, which is excellent at conferences. Once you pick up the mouse, it kicks into presenter mode and you can use this to navigate to slides and whatever else you need to do while you’re presenting. 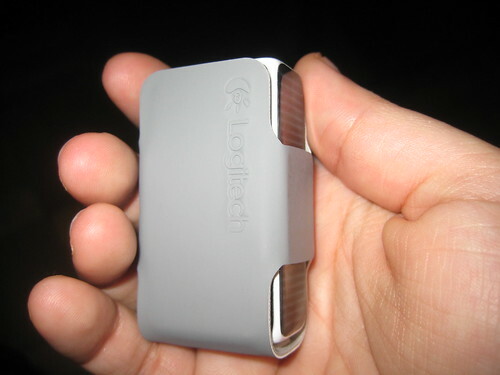 The picture below is the Logitech Cube in its case. And I am giving one away! To be eligible to win, please hit up the Rafflecopter form below. This contest will end at 12:01am on 8/22/12 EST. Thanks! Would make a great stocking stuffer……. Such a wonderful giveaway! Thanks for the amazing opportunity man! Giveaway with uniques idea …. that’s gr8! Giveaway with unique idea …. that’s gr8! Very good review, it made me want one! This mouse looks really cool! Hmm, this looks pretty interesting, I’d love to try it out! This is a GREAT giveaway! thanks so much for the opportunity! Keep up the awesome work! I think this is totally cool. I’d never heard of it before. Thanks! This is a great giveaway! Thanks for the chance to win!!!! Congrats on your first give away! This mouse looks really cool and I like how it seems to be form-fitted to your hand.